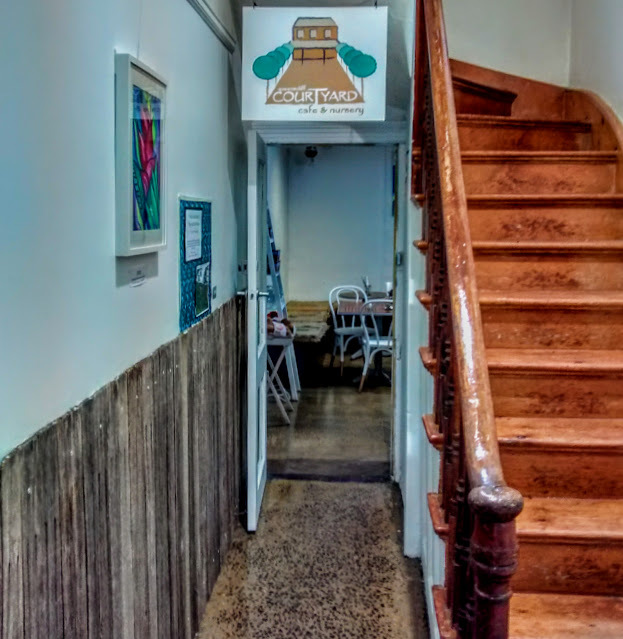 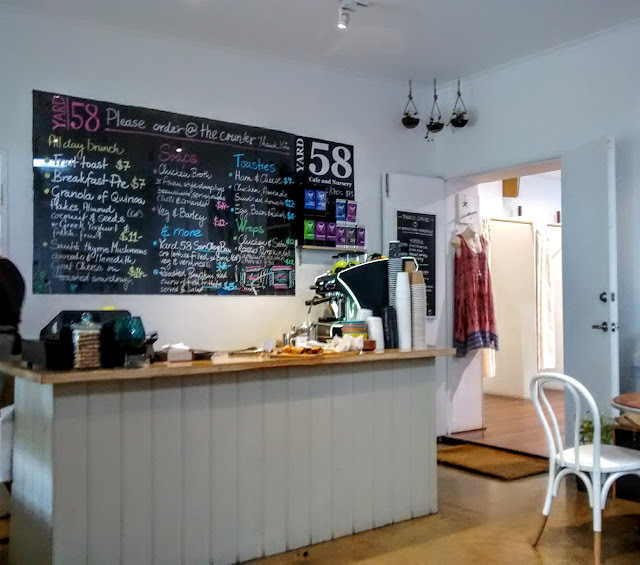 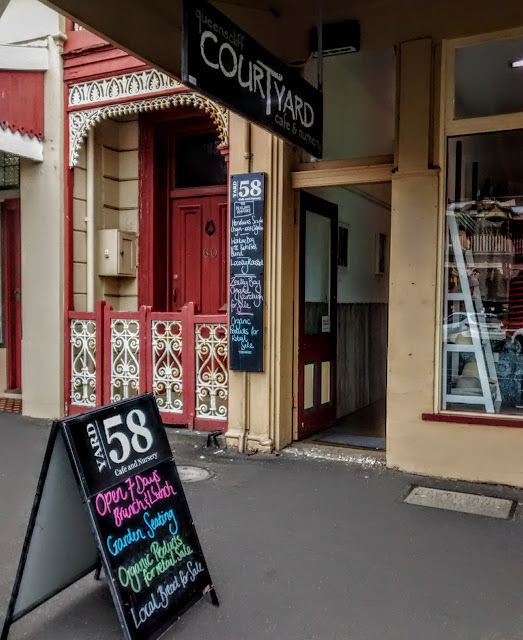 We were looking a for a late lunch in Queenscliff and the Courtyard seemed to fit the bill. So we headed down the corridor and found our selves in the main white walled room with access to the eponymous outdoor area. The long black was good. 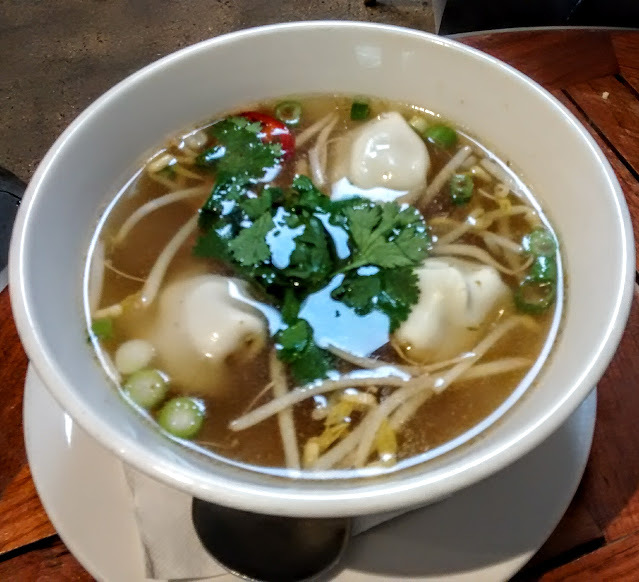 The chicken broth with dumplings, beanshoots, spring onions, chillies and coriander lacked much flavour although the dumplings were good. 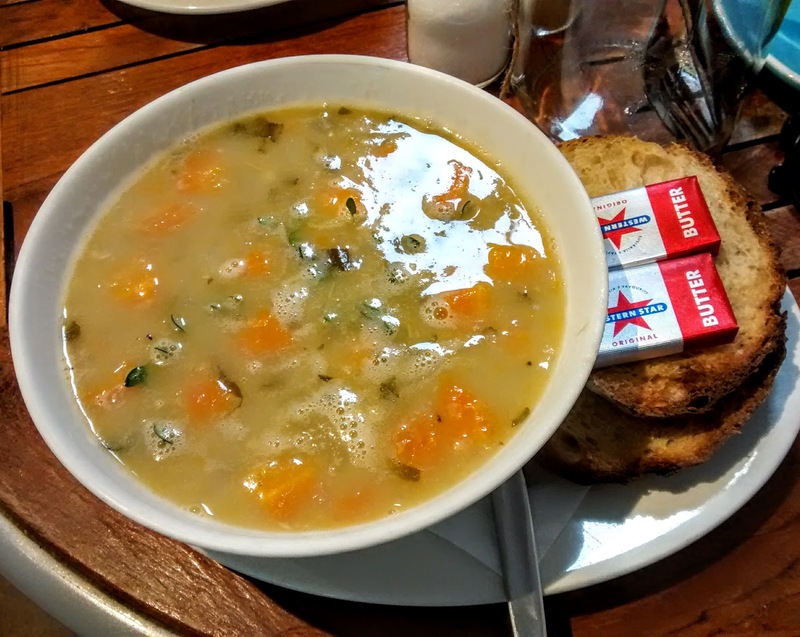 I went for the veg and barley soup with sourdough toast which was hearty. 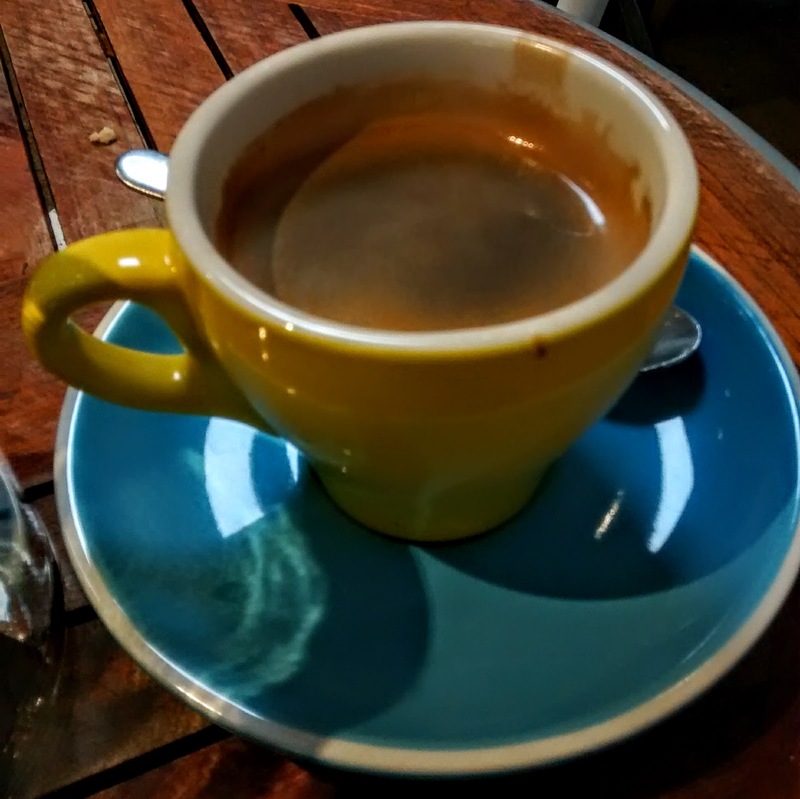 The bill came to around $35 with the hot drinks, the service was good and it is a nice spot for a light bite.